Great news! 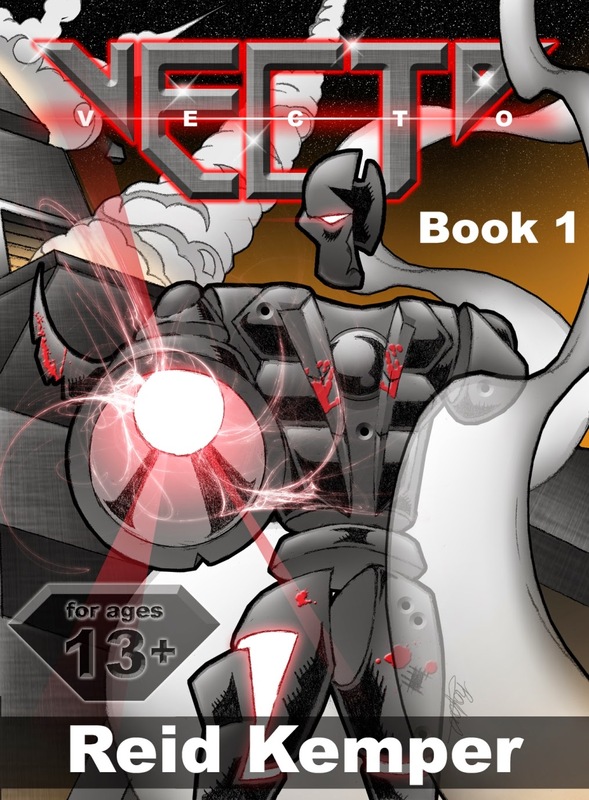 My Vecto story will be published by Vic's Lab, LLC, a start-up company focusing on young adult science fiction and original English light novels. On top of that, I have one of the best editors for the job. He's worked at Del Rey, Tor, Tokyopop, and DC Comics and has been nominated for a Nebula award for one of his books. More information will be released closer to publication, which is expected in November. Since my Vecto story carries inspiration from anime and superheroes, it's awesome to have an editor who has worked in these areas. The working title to my book has been changed to Vecto Vengeance, so the cover will likely change. Also, free copies of the draft version of the book are available for on VicsLab.com for a limited time to registered users of VicsLab.com. The idea is to get reader feedback through the editing process as well as build a community of people who like similar things. I can still continue to release the draft of my story in bits on this website and Wattpad, but I may have to take the story down before it's published. Right now, the site is fairly empty, but hopefully that will change. The site is still in its early stages (alpha or beta), but it has potential. It's open to free registrations via social media. You can sign up without a social media account if you have an invite code. I have some that I can give out, so contact me for them. The site doesn't say if it is accepting submissions, but if you write similar stuff, I'm sure you can ask via the site contact form. Here's where you can buy the digital movie: Marvel's The Avengers. Here's where you can find the game: Xenogears - PlayStation. Here's where you can buy the Final Fantasy VII game for the PC: Final Fantasy VII [Online Game Code]. Labels: battle scene, book, Crisis Core, cutscene, FFVII, Final Fantasy, Genesis, Sephiroth, Vecto, vs.